The mission of The Yukong Post is to serve as a much-needed platform for blogs that have broad angles, critical thinking, and balanced viewpoints. Influenced by pop culture, most media outlets are filled with superficial topics such as scandals or personal/trivial topics like sports, movie and music celebrities. Serious articles and analyses become increasingly scarce. Driven by commercial interests, news and articles are increasingly myopic, lacking international and cross-cultural perspectives. Constrained by "political correctness," many media outlets are shying away from articles with critical thinking and insightful ideas. As a result, according to the Gallup Poll of September 2016, more than two third of the American audience no longer trust the media. They cry out for a different kind of media. 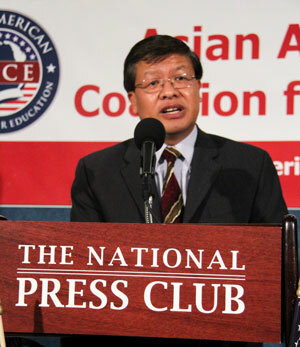 At this critical moment, Mr. YuKong Zhao, a Chinese American author, a renowned Asian American leader, the President of Asian American Coalition for Education has introduced the The Yukong Post. It serves as a much needed blogging platform for authors who write articles with broad perspectives, critical thinking, and balanced viewpoints. He sincerely hopes it will be of value to readers who are open-minded and seeking insightful ideas and perspectives.